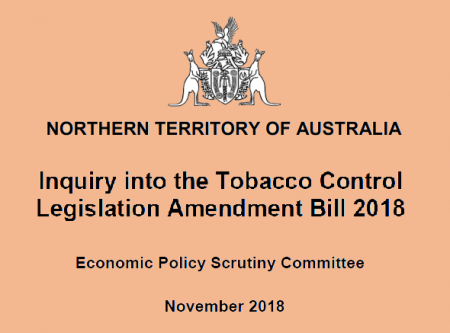 The Northern Territory appears likely to continue to have the highest smoking rate in Australia, with a Parliamentary Report missing the opportunity to endorse tobacco harm reduction. Instead of supporting vaping, the committee agreed to regulate e-cigarettes in the same way as conventional tobacco products. The Economic Policy Scrutiny Committee felt that 'a precautionary approach is justified', particularly given the conflicting evidence regarding the health effects of vaping'. As a result, it is likely that the Tobacco Legislation Amendment Bill 2018 will pass unchanged. The committee was presented with submissions in favour of vaping from ATHRA, the Australian Taxpayers Alliance, the New Nicotine Alliance and local vendors Vapourholics. Predictably there was conflicting advice from the usual anti-vaping health and medical organisations who presented a range of unsubstantiated fears about vaping. These included the Cancer Council, Public Health Association, the Heart Foundation and Department of Health which have long-standing commitment to the status quo. The evidence does not support the claim that vaping is a gateway into smoking for youth. In fact, the most recent evidence suggests it is diverting young people from smoking. 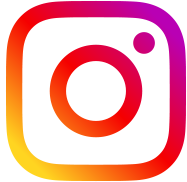 Smoking rates in young people are falling at unprecedented rates in the US and UK where vaping is widely available. There is also no evidence of renormalisation. Adult smoking rates are falling faster than ever in many countries where vaping is widespread, such as the US and UK and uptake by non-smokers is rare. In fact, vaping normalises vaping and denormalises smoking. While the preferred goal for smokers is to stop smoking altogether many are unable or unwilling to do so, even with repeated attempts using approved therapies. Two out of three of these long-term smokers will die prematurely from a smoking-related disease. Vaping is a lifeline out of smoking for many. It is a far safer alternative which provides the behavioural, sensory and social aspects of the smoking ritual. Millions of smokers globally have switched to vaping, including 6.1 million smokers in the EU, 3.2 million in the US and 2.8 million in England. Switching completely conveys substantial health benefits such as lower blood pressure improved lung function and reduced respiratory infections. Long-term use has been estimated to be at least 95% less harmful than smoking and there is no good evidence of harm to bystanders. Ongoing research into the safety of vaping and its use for smoking cessation is underway. However, the benefits in assisting cessation should not be ignored while waiting for this research. The committee agreed to a precautionary approach in line with other states. This approach argues that it is best to ban something if there are uncertainties and potential risks. However, the risks of NOT adopting vaping are much greater, as cigarettes are substantially more harmful. A number of high quality studies have modelled the future risks and benefits of vaping and all have concluded that the overall public health impact is positive. By denying vapers access to a safer product, the Committee has given a free pass to the tobacco industry. More smokers in the Northern Territory will die as a result of this disappointing decision.